Yesterday morning, I woke up bright and early and headed out to Hackney to meet the lovely Kat from Lady Loves Cake. It was a brisk, early autumn morning and so we met up with rosy cheeks and big smiles. 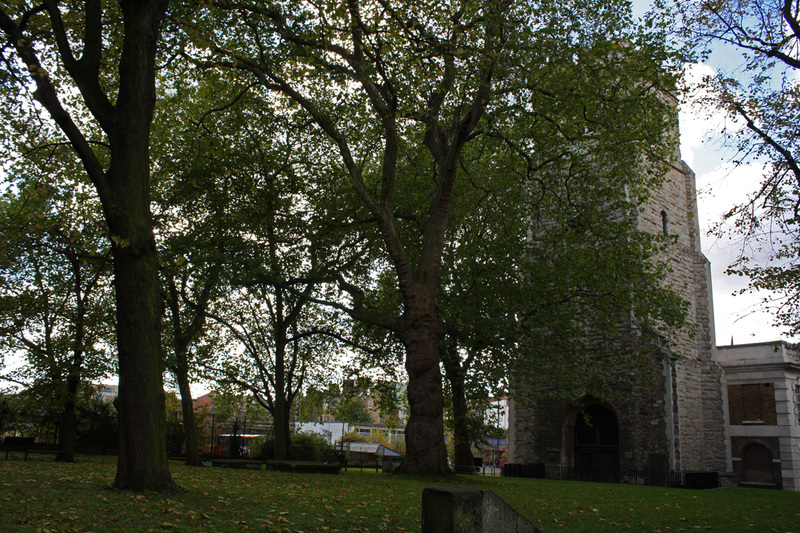 Our first stop was Hackney Homemade in the beautiful St John’s Church Gardens (located just two minutes walk from Hackney Central Station). We were there to visit Ella’s Kitchen and learn about their Big Tastes Menu. It really was a fascinating experience, especially for me as I don’t have children and don’t know too much about babies’ nutrition. We learned that babies have an especially intense sense of taste and that in addition to their tongue, they have taste buds on the inside of their cheeks, the roof of their mouth and in their throats. That is why they often pull a face or react quite strongly to new tastes. To illustrate this, we were asked to try two specially formulated tasters from the Big Tastes Menu, designed to let adults experience just how intense flavours can be for little babies. As you can see from the photo above, the tasters came in two flavours – Brussels sprout and strawberry – and Kat and I gave them a try. I have to admit, I love Brussels sprouts but my face wasn’t too far from the baby in the photo above when I sampled the first taster. If you’d like to see the photo of that, I’m accepting bids from £10 and up. As you can see from the gleeful expression on my face in the photo below, the strawberry taster was yummy! I learned that yes, tastes are intense for babies but the advice is to keep on trying so that a wide variety of flavours and nutrients make up the little tots’ diets. 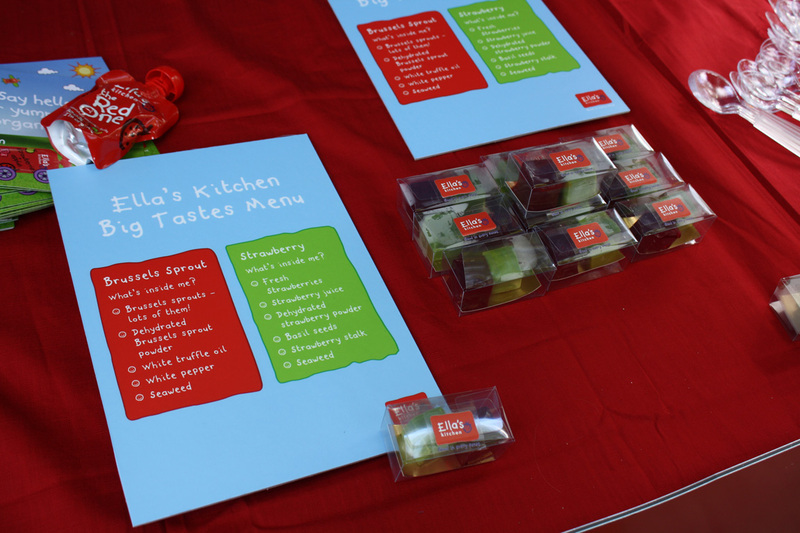 Ella’s Kitchen makes an entire range of organic, healthy baby and toddler meals and the best part of the whole morning? They gave me a delicious The Red One strawberry, raspberry, apple and banana smoothie to try. Yum. With loads of time still to spare, Kat and I decided to walk down through London Fields and on to Broadway Market. That’s the topic of a whole new blog post though! According to their website, Hackney Homemade Markets were born out of a love for Hackney. “The idea was to create a local market that is as inclusive as possible. The markets support and encourage local traders and small businesses, as well as charity and community groups. Members of the community, particularly disadvantaged young people, are offered the chance to work on a stall to improve their confidence and skillset”. This was my first visit to both Hackney and Hackney Homemade but I am quite sure it will not be my last. Wow. I did not know that about the taste buds and I've studied the human body and taken several biology classes... see how you learn something new every day??? I never knew that about babies' taste buds. How interesting! @ Tammy and Japolina: I didn't know that either before yesterday but after you both commented it, I began to wonder whether it was true and Googled it. Turns out it is true and that's why adults eat spicier food as they grow up because we have fewer taste buds. Pretty fascinating, huh? Thanks Emm, this sounds so interesting, I'd love to go. and I would love to try the "baby style" flavours. I am sure i remember tastes being overwhelming when Iwas a young child. what an idea !! Brussels sprout !! another brilliant and interesting post! i didn't know that about babies' taste buds...sounds interesting! i would love to try those flavours too. Yay..wonderful place..and yum..sounds like such a fun time..lovely pictures..you look quite happy !I agree on the baby tastebuds experience, long story short, long time ago i went through a tough time couldn't eat food/solid foods for a couple years..as i worked my way up to food again..it is like my tastebuds were brand new and flavor was like so massively powerful..a simple fruit or veggie was potent..like your sense of taste was heightened..like being a baby! I think i would enjoy this wonderful place..thanks for sharing it..fabulous! @ Jenny: My only two dislikes were liver and green beans and that was all to do with texture, not taste. Strange, huh? @ This is Belgium: Yup. We even shorten it to just "Brussels". @ Betty: the smoothie was yummy! @ Victoria: Wow! Your experience is just amazing. So they can redevelop? Very interesting. @ Jen: like I've said, I am evidently too old because they just remind me of me but really, don' let them scare yu away!